“I learned to read and speak in Bahasa Malaysia from my friends when we lived in a Malay village in Kemaman (Terengganu). I wanted to study more and become a policewoman but I never got the chance,” recalled 19-year-old Rohingya refugee Hamida Mohamed Yosuf. Hamida is one of the 150,000 Rohingyas who call Malaysia home, their families having settled here after fleeing from persecution in Myanmar. While they have managed to scrape together a semblance of life for themselves here, many yearn for the opportunities that education and legal recognition of their status would bring. Malaysia’s public education system is one of the country’s success stories, chalking up a literacy rate of 90 percent. But Rohingya refugees, however long they may have been in the country, do not have access to government-funded schools. “To get good jobs, you need education. I never had that but I tried to send my eldest son in a government school. They wouldn’t take him. They said only children with an identity card can enrolled,” said her brother Nur Islam. However, he did manage to get his 11-year-old son into a religious school in Rawang run by Rohingyas, paying a fee of RM150 a month. Their father Noor Mahamad said that he had tried to send his children to school but the authorities told him to first get a letter from the Home Ministry. “But back then I was always working, trying to make a living so I never had the opportunity to do that,” he said. More than anything, he wished that his grandchildren would be able to get a proper education. “I want them to be in school, have an education, and have a better life than us,” added Noor. Ustaz Rafik is a local Rohingya activist in the Selayang Wholesale Market and runs a shelter for the community. Lately, he has become more concerned about the lack of educational opportunities for the Rohingya people. He recently started an informal school called ‘Rainbow of Hope’ for Rohingya children in his community shelter. “Education is very important, which is why we’re establishing community schools so that at least they’ll be able to read and write,” said Rafik. Rainbow of Hope currently has 60 students aged between five and 14. The school is run by local volunteers who teach Basic Mathematics, English, Bahasa Malaysia, and Islamic studies. He said his students dream of becoming engineers and doctors, but he knows it’s unlikely to happen without resources and legal recognition. Although Hamida herself couldn’t become a policewoman, she hasn’t lost hope. “I want my children to be policemen or even doctors someday,” she said emphatically. On the bright side, there are increasingly more informal education centres opening for Rohingya children in Kuala Lumpur, as well as in the northern states of Penang and Kedah. Noor’s brother is still living in western Myanmar. Life in Myanmar is difficult and he has had to send money to his brother regularly. 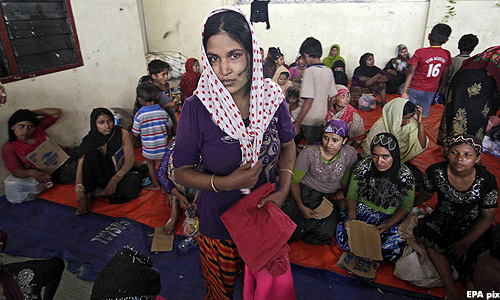 For the older generation of Rohingyas, Myanmar is home. But however much Noor misses his family or his village back home, he has come to terms with the bitter reality that he can’t go back. Rohingyas aren’t recognised as citizens in Myanmar’s Citizenship Law of 1982, despite some having lived there since the 16th century. Ironically, in the past two years, as Myanmar moved towards freedom and democracy, the attacks on the country’s Muslim minority intensified. 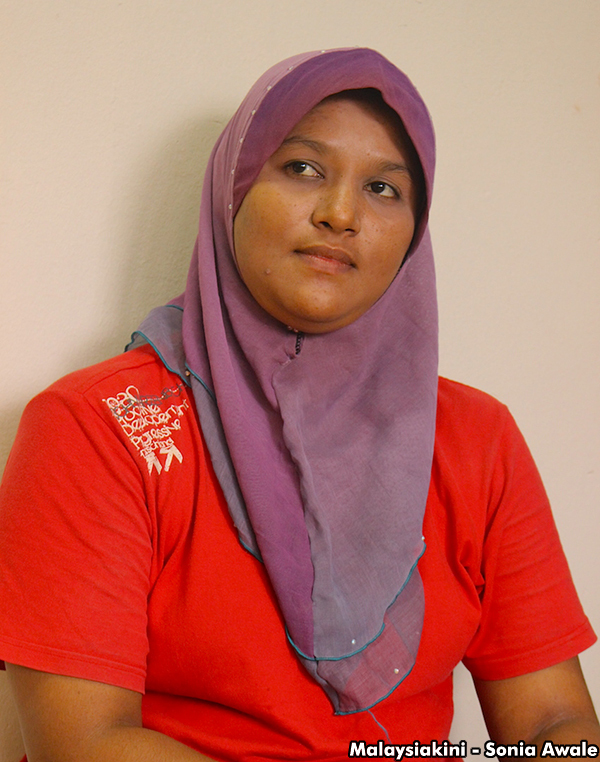 Most of the younger Rohingyas living in Malaysia do not remember much of their home back in Myanmar. Many were born here. Malaysia is a signatory to the Convention on the Rights of the Child, and according to the federal constitution, children born within its borders are entitled to citizenship if they can’t acquire one of another country within one year of birth. Despite the constitutional provision, Rohingyas born here neither have citizenship nor basic healthcare and education rights. For most of the Rohingyas like Hamida who were born and raised in Malaysia, this is the only home they know. They want to be Malaysians. 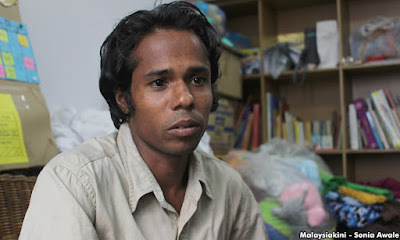 Mohamad Yosuf Saleh Ahmed (photo), 23, doesn’t like to talk much about his time at sea but he consoles himself with the fact that at least he made it to Malaysia. “It took us a month. The boat was very cramped, there was very little food and water. I saw five people dying on board but I didn’t want to go back to Myanmar because if I did, I’d end up dead,” he said. The thousands of Rohingya refugees who were stranded in the Andaman Sea in May last year made headlines all over the world. But for most of them, their ordeal had just started after making their dangerous sea journey to the shores of Malaysia, Thailand and Indonesia, as they were refused entry. Even when they are allowed to stay, the Rohingyas live a traumatic life of exploitation, discrimination and exclusion. There are a few relatively positive stories like that of Hamida’s family but for many others, life has been less kind. Bilal Biroflhas, an American citizen, is a donor supporting Rainbow of Hope and the shelter run by Ustaz Rafik. He worries that Rohingyas will be written off as forgotten refugees if they continue to be unrecognised by Southeast Asian countries. 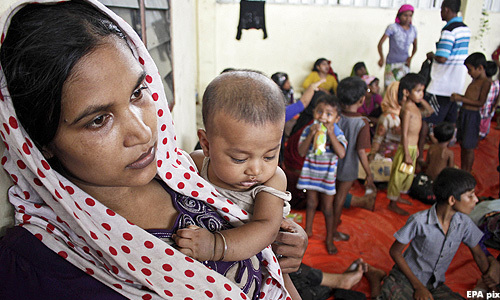 Rafik added, “The solution to the Rohingya problem is greater cooperation, especially from the Myanmar government itself. It needs to be more responsible. It is clear that with the highest number of Rohingyas in its territory, and more incoming, Malaysia has a huge responsibility to respect the rights of the refugees. But ultimately, it will be up to Myanmar to stop persecuting its own minorities.